After the ignominy of the first ODI where the top-order fell away in a jiffy, Virat Kohli  and MS Dhoni [55*] spearheaded India's run-chase of 299 to force a series decider at the Melbourne Cricket Ground. After Australia had set a target of 299 thanks to a pristine 131 by Shaun Marsh and a valiant cameo by Glenn Maxwell , Shikhar Dhawan  got India off a whirlwind start, stroking a brisk 32 off 28 balls before holing out to Behrendroff. 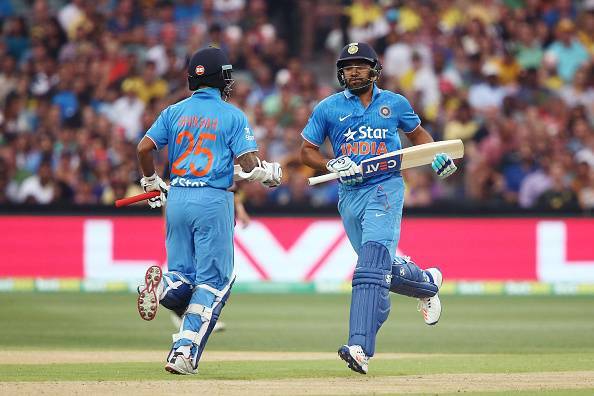 Rohit Sharma looked prime for yet another hundred, unleashing his shots before mistiming one off Marcus Stoinis. Ambati Rayudu looked scratchy during his 36-ball-24 and when he got out in trying to up the ante, India's hopes were primed on their talisman in Virat Kohli and veteran MS Dhoni. Kohli tried to up the ante during the initial stages of their 82-run stand, allowing Dhoni ample time to get himself in. The highlight of Kohli-Dhoni partnership, as it has always been, was their ability to squeeze in 1s and 2s which did not allow the run-rate pressure to get to them. 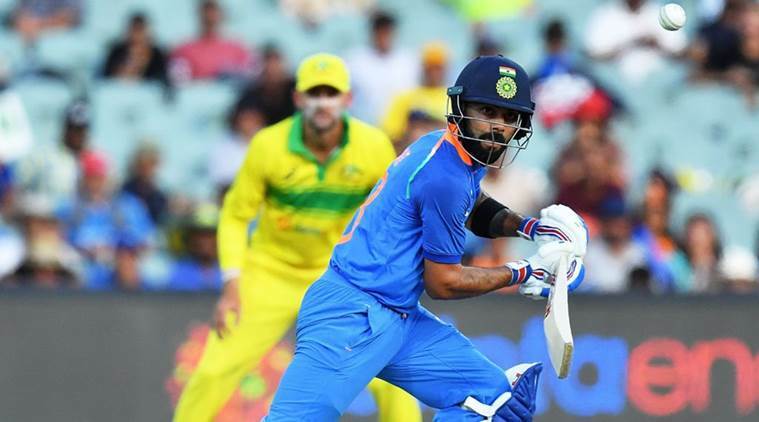 Kohli brought up his 39th ODI ton- 24th in a run-chase, but when he uncharacteristically holed out at deep square-leg, India still needed 55 off the last six overs. But, the clam heads of Dhoni and Dinesh Karthik, who stroked a 14-ball-25, took India home with Dhoni finishing it off with his trademark six in the last over. 2nd- India's successful pursuit of 299 was the second highest run-chase at the Adelaide Oval. 4- All of Shaun Marsh's last four ODI hundreds have resulted in a loss for Australia. 11- Kohli's 104 at the Adelaide Oval was his eleventh hundred across formats in Australia. 13- This was Virat Kohli's 13th ODI hundred since the start of 2017, closely followed by Rohit Sharma at 12. No other batsman has scored more than six in this time period. 89- Rohit Sharma, in his innings of 43, stroked his 89th six against Australia, overhauling Chris Gayle's record [88 vs England] for the most number of sixes against a single opposition. 4th- Rohit Sharma and Shikhar Dhawan, during their 47-run opening stand became the fourth opening pair to rack up more than 4,000 ODI runs between them. 24- This was Virat Kohli's 24th ODI hundred in a run-chase, out of which 21 have resulted in a win. In successful run-chases, Kohli averages a Brobdingnagian 99.04. 99.85- Speaking of successful run-chases, MS Dhoni squashed aside all his detractors with a calculated inning of 55 not out to steer his side home. Dhoni now averages a barely believable 99.85 in successful run-chases- the most by a batsman in the history of the game. 64- His 104 at the Adelaide Oval was Virat Kohli's 64 International ton across the three formats of the game. 31- Predictably, Kohli the Man of the Match award for his stupendous ton. He is now level with Sourav Ganguly for the second most 'Player of the Match' awards for India. 4- Only four of the fifteen hundreds by an Indian batsman against Australia Down Under have ended in a win.